There are 9 interlocking tiles per square metre. 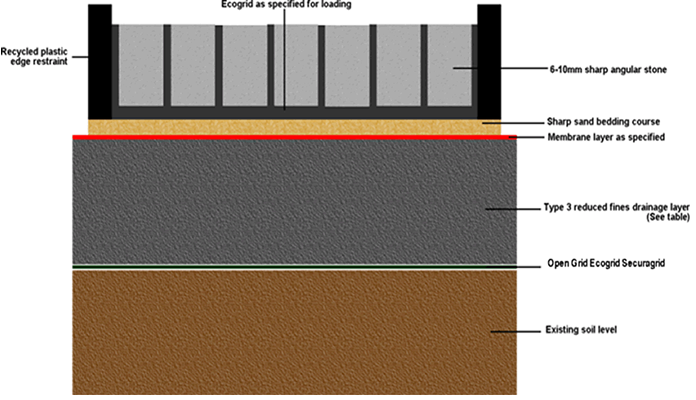 Sharp sand: Can be fine grit or 3-6mm fine gravel, deigned to bed the Ecogrid in and provide a cushioning layer. This should be raked level over the geotextile and compacted level. Membrane: This must have a minimum weight of 115g. Typar SF24 or NW8 with a cone drop efficiency of 45. 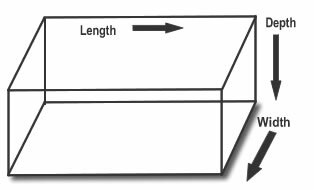 Drainage layer. This must have reduced fines 20mm stone down. Clean 15-20mm limestone can be used for this course if sourcing of Type 3 is difficult. 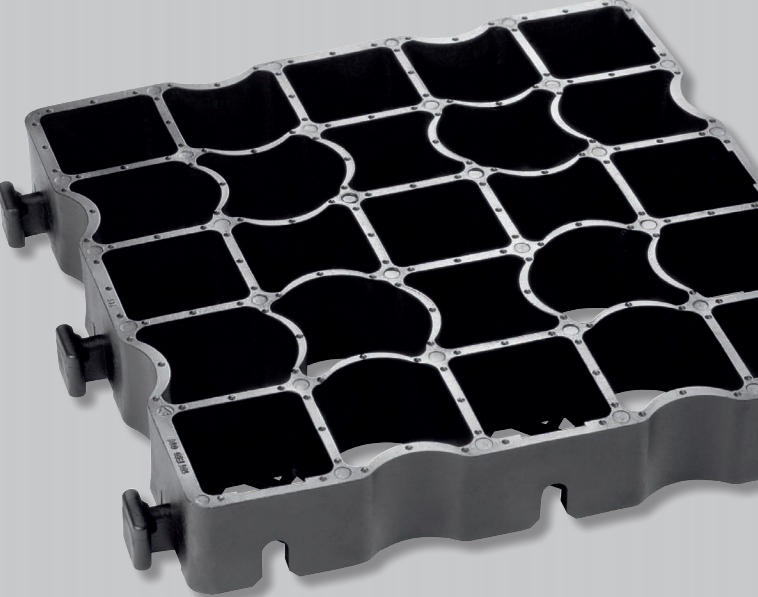 Open grid: This is an optional base support layer in situations where the soil level is very soft or a CBR of less than 3-4.